Last week’s hotly anticipated Consumer Electronics Show in Las Vegas showcased the latest ideas in entertainment technology for 2016. Along with state-of-the-art drones, televisions, VR headsets, and smartphones, gaming was, of course, also a focus at the trade show. Video games are among the most popular entertainment products in the world. This is hardly surprising, given how games have conquered our mobile devices: the days when games were just played on consoles and PCs are long gone. Anyone with a smartphone or tablet (and who doesn’t have one nowadays?) has almost certainly tried out a game or two. 37% of Germans play on their smartphone or tablet at least once a week. What’s more, people play everywhere – buses and trains are swarming with people playing puzzle, quiz, and strategy games to pass the time. This seemingly infinite target group is a reason that the future of the gaming industry is looking decidedly rosy. It is for this reason that Goodgame Studios also focuses on mobile titles and has already published the most successful German-made app in the world. Our colleague Patrik Wilkens is Mobile Product Lead for one of our new games. 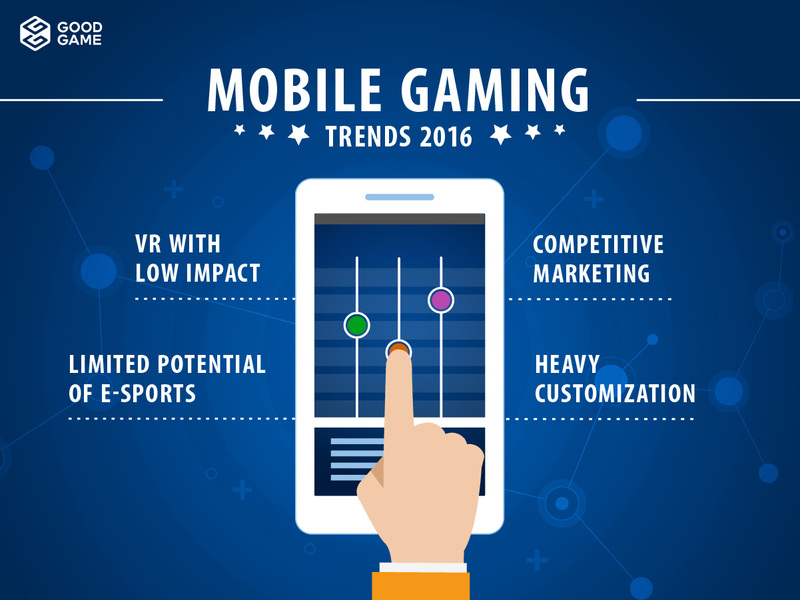 Here you can read about which mobile trends and challenges he thinks will shape game development and marketing in 2016. Demand famously determines supply, and the fact that more and more people are exploring the world of mobile gaming with their smartphones and tablets means that the range of apps is growing all the time. To stand out from the competition and reach new audiences, developers need to tailor their games to their customers as much as possible. For example, we are working on a new puzzle game with cute little creatures designed to appeal to a female audience. The increased number of games on offer this year also means that marketing costs are set to increase. Game developers are therefore going to have to find new ways of marketing their products. One new method that circumvents performance marketing is cross-channel marketing, where, for example, players are shown another game by the same publisher within the game they are currently playing. The advantage of this is that no extra expenditure is required and that the chances of the users liking the other product are very high. One of the most exciting topics in the gaming world is the future of virtual reality. Until now, the expense of products like Oculus Rift has meant virtual reality has only reached a small audience. With tying VR to tablets and smartphones, the entry barrier for users will likely shrink and the market will expand. Thus before VR will establish itself as a profitable business model in gaming, monetisation concepts need to be optimised. Also, new users groups need to be reached by tying VR to mobile devices and making it accessible to a mass audience. This will lead to more publishers investing in this exciting area. There are still many challenges to tackle for e-sports on mobile platforms. While e-sports are extremely popular on PC and console, interest is also growing among tablet and smartphone users, although gameplay is very different due to the smaller touchscreen. Given that revenues are still on the increase in e-sports for PC and console, it is fair to expect that publishers will initially focus their investments there. We will continue to keep track of developments in the mobile gaming world and of course play our part too. Our next apps will be launched globally at the start of this year and can be downloaded from your app store. We hope you are just as excited as we are about these and all the other new games that 2016 is set to bring!